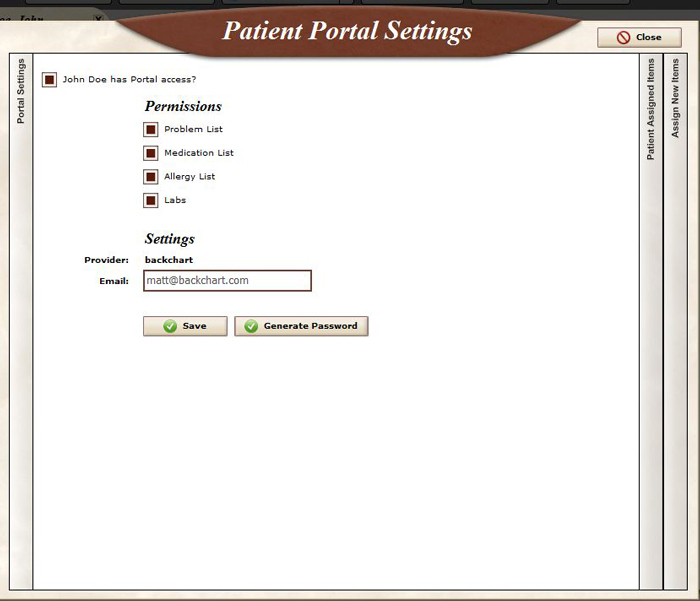 To enable a Patient’s access to their Patient Portal, click on the Patient Portal icon located on the patient chart. 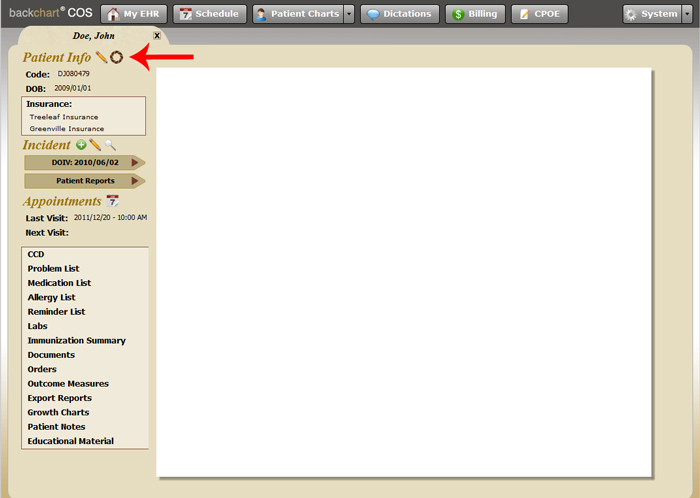 The first checkbox enables access for the patient. You can then choose what health information they can see by checking the appropriate boxes for their Problem List, Medication List, Medication Allergy List, and Lab Results. Enter the patient’s email address and click generate password. The patient will receive an email asking them to complete their account creation by choosing a password. This entry was posted in Patient Portal by Matthew. Bookmark the permalink.